As he confesses to the doctor in Sociology of the UPV/EHU Laura Bilbao-Gómez, was a marquee of a bus which drove her to make the thesis on body image of women in advertising and its interaction with the consumption. More exactly, the trigger was the announcement that appeared on the marquee, adding to the image that was later in the window of the shop opposite, followed by another image in the interior of the same shop. The three images repeated and reinforced the stereotype of feminine beauty. “In the three images appeared, young women, beautiful and thin, and repeated the same message: take care of yourself, so that you feel young, beautiful and desired. In that moment, I decided to investigate the modes of interaction and internalization proposed by the model of feminine beauty that appears in the advertising that surrounds us at all times,” explains Bilbao. And continues: “And is that such a stereotype does not only show the fashion magazines and the beauty products, but is present in all types of media and is related to some consumer products not directly related to the beauty”. To carry out the doctoral thesis, Bilbao studied a selection of advertising texts published in celebrity magazines (Hola, Pronto, Readings, Ten Minutes, etc), and fashion (Vogue, Cosmopolitan, Marie Claire, Elle, etc) and, to a lesser extent, also of audio and visual announcements mainly from the television. As mentioned the researcher, “all of them have in common that they based the body treatment of women in practices and attitudes that are linked to the use of beauty products”. In addition, Bilbao has carried out a field work based on the production of photographic materials from the urban environment; both of transition (billboards on roads and highways), leisure and consumption (the shop windows of stores and pharmacies, advertisements in shopping centres) and set (facades, awnings, bus stops of public transport, means of transport…). Related to this, the author has carried out “a series of visual maps based on itineraries carried out in five cities: Barakaldo, Bilbao, Santander, Madrid and London.” The researcher stresses that, in the urban environment, the advertising related to the female body, not only intended for the consumption of beauty products, “but to all kinds of products not so related with that type of consumption: cars, houses, electronic devices…”. With the aim of contrasting the presence of this type of representations of “the beautiful woman” through this type of material with the views of those who are its target, has carried out a social research qualitative, through personal interviews and discussion groups; “the sessions in which presented advertisements previously selected, to try to delve into the discourses and social representations that are built around the social imperative of the pursuit of beauty”, explains the author. Both the methods of research, as the results and the conclusions, has picked up the thesis that bears the title The body, the image of a culture: the representation of the body of “the woman” in advertising. An approach to the construction of the female image today as a showcase of their identity. The author has already published several articles derived from this thesis, and has stated its intention to continue to deepen the topic: “on the one hand, I plan to continue with the elaboration of itineraries in cities, with the collaboration of the director of my thesis, professor Andrés Dávila, and, on the other hand, I want to publish an article on the eroticism of pornographic behind the female stereotype that links beauty and sensuality”. 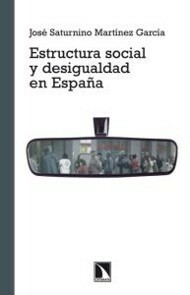 Laura Bilbao-Gómez (Bilbao, 1980) is a phd in Sociology from the UPV/EHU. He did his phd thesis titled ‘The body, the image of a culture: the representation of the body of “the woman” in advertising. An approach to the construction of the female image today as a showcase of their identity’, under the direction of both Andrés Dávila Legerén, professor, Department of Sociology II, as Gabriel Villota Toyos, professor of the Department of Audiovisual Communication and Advertising, both attached to the Faculty of Social Sciences and Communication of the UPV/EHU. The thesis has been carried out mostly in Barakaldo (Bizkaia) and in the UPV/EHU, with a stay in the Royal Holloway, University of London, thanks to the help of a Predoctoral Fellowship of the Basque Government (Department of Education, Universities and Research).